Frozen is going to be on every child’s Christmas list one way or another which is why I thought it would be perfect to make an easy and fun craft your kids can play with over and over again! 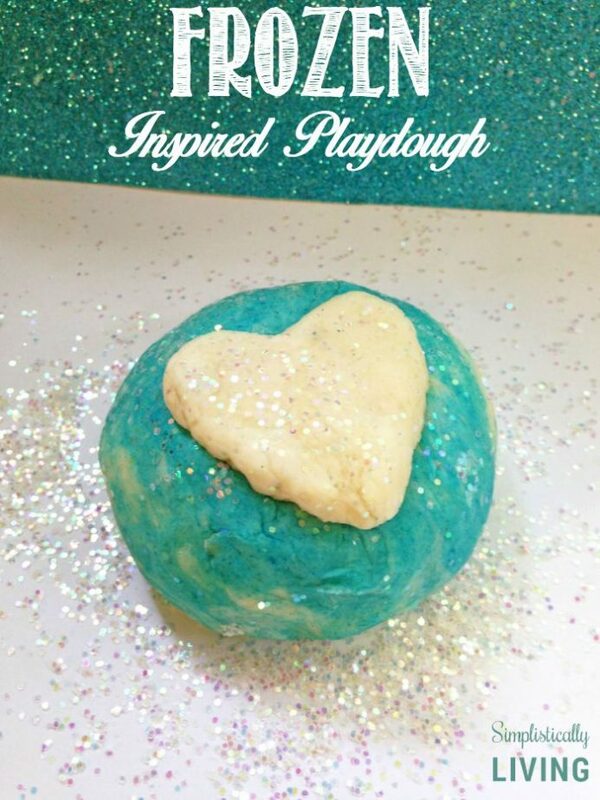 So make sure you give this Frozen Inspired Playdough a try! Bring your water to a boil. If you wish, you can do this quickly in the microwave by zapping the water for 2-3 minutes. Set the food coloring aside, and combine your dry ingredients into a bowl. Mix the ingredients well. You can now add in the boiling water (be careful!) and oil. Stir well until a paste forms. If the paste is sticky when touched, you can add in some basic flour one teaspoon at a time and continue to mix until firm. Your Frozen inspired play dough can now be colored. Divide the dough into two halves. 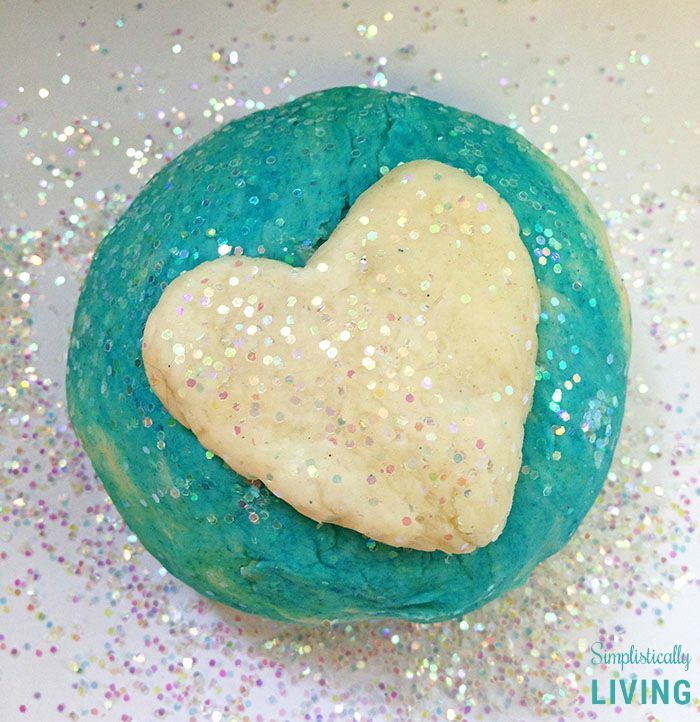 Add a few drops of blue food coloring to one half of the dough. Continue kneading until the color is distributed. In the second half, add some white craft glitter. About one tablespoon is good. Knead well. Your Frozen inspired play dough is now ready to be used! You will have your blue ice dough, as well as your white sparkling snow dough. You can layer these two variations as we did, mix them, swirl them, or just get as creative as you can with them. Kids will love the soft colors and sparkle! This Frozen inspired play dough can be stored quite easily. Just place it in an air tight container or zip lock bag. Doing so will keep it soft and usable for weeks. If it gets hard, just add a little water and oil to it and knead well. Enjoy this fun filled Frozen Inspired craft!